David Meiswinkle, JD — broadcasting on no lies radio! David at the Georgia guidestones, a mysterious structure erected anonymously which touts reducing the world's billions to a population of 500,000,000! Many of david's show expose the plans and designs to do just that! David as a nj police officer, where he served for 23 years, fighting corruption within his precinct and eventually bringing federal indictments! David Meiswinkle, JD has been a licensed attorney in NJ since 1989, and a practicing criminal defense attorney for over a decade. He is currently serving as President of the Lawyers Committee for 9-11 Inquiry, a non-profit organization dedicated to transparency and accountability in government, and the creation and submission of a Grand Jury Petition concerning the crimes of 9/11 to the United States Attorney. On April 10th 2018, on behalf of the Lawyers Committee for 9-11 Inquiry, David, along with Julio Gomes, JD (a Lawyers for 9-11 Inquiry Board Member) and 9-11 family member activist Bob Mcllvaine, submitted a 9-11 Grand Jury Petition concerning the crimes of 9-11 at the World Trade Center, to the U.S. Attorney General of the Southern District of NY. David worked directly on the creation of this 9-11 Petition for a Grand Jury. He is a retired police officer of 23 years, and a United States Army veteran who was stationed in Germany where he worked with Pershing nuclear missiles in a top secret area. As a police officer David founded a community newspaper and the Taxpayers and Tenants Association both of which exposed local political corruption. His exposes’ led to federal indictments of powerful local officials. In 2009 Meiswinkle ran as an independent against Chris Christie for Governor. He was the only candidate who spoke about the need for a new 9/11 investigation, highlighting the nexus of jurisdiction for 9/11 in New Jersey. In 2010 he ran as an independent for Congress against Chris Smith, again exposing the need for a new 9/11 investigation. David is President of New Jersey 911 Aware, a non-profit organization which serves to educate the public about the core scientific truths and forensic evidence of 9/11 which conflict with the official narrative. NJ911Aware also explores the science and evidence of other key issues of our time. In 2013 he developed a submitted a notarized complaint to the State Committee of Investigation concerning 9/11, and forwarded this complaint to all New Jersey legislators, the county prosecutors, the State Attorney General, and Governor of New Jersey. He was also a legal panelist at the 9/11 Justice in Focus Conference of 2016 which featured legal dignitaries such as Dr. William Pepper, Danny Sheehan, the late Judge Imposimato who exposed Operation Gladio in Italy as well as openly challenging the official narrative for 9/11 and became an honorary Supreme Court Justice of the Italian judicial system, and former Attorney General Ramsey Clark who made an appearance by phone just to be certain he made his presence, and his support for the conference known! David is co-founder of Quantum Matrix Alternative Media, LLC and of Quantum Matrix Radio, a radio show, 4 years in the running, which he frequently hosts and which broadcasts on No Lies Radio an online Pacific broadcaster. Quantum Matrix Radio explores the grave truth about 9/11 and the post 9/11 world while also revealing viable solutions to the current world problems which include: revealing alternative healing modalities, suppressed energy solutions, suppressed inventions, consciousness raising modalities, the application of quantum physics and related sciences to changing the current world paradigm, and more. 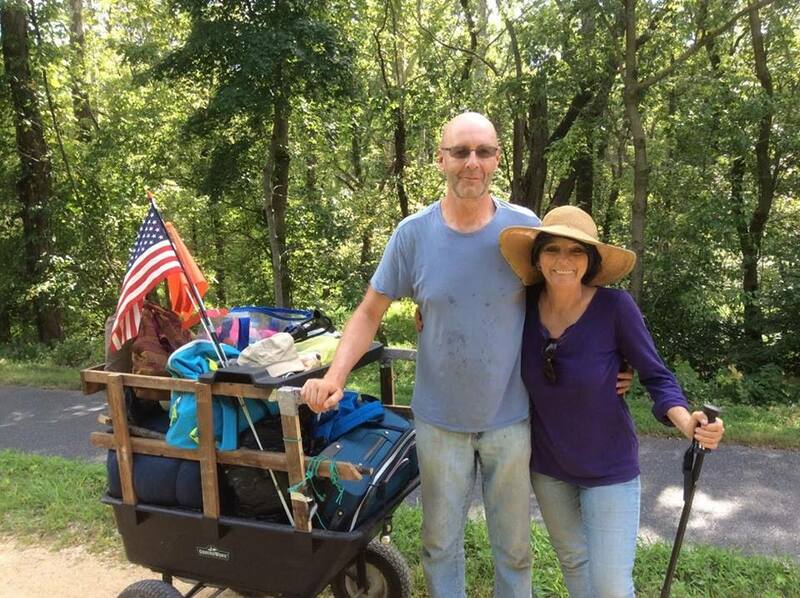 In 2015, joined by his QMA Media & QMR business partner, author Pamela Senzee, he walked 440 miles encompassing the sites of the crimes of 9/11. They walked for 48 days beginning in the Shanksville area walking towards DC and the Pentagon, then from DC to NYC, closing their historic trek at the 9/11 Survivors Tree located at the 9/11 Memorial at Ground Zero. They took their journey in memory of the 9/11 victims, in solidarity with the 9/11 family members, for the restoration of our Constitution, for an end to the 9/11 wars, and for the creation of a better society. As co-directors they are making the film, Truth Walk, a documentary account of the trek, an expose on 9/11, and a film which also explores the current world condition and offers solutions to the post 9/11 paradigm. “Truth Walk”: Part 1 can be viewed on the Quantum Matrix Radio website.